The Treasure Coast is about to start heating up and so is the area’s fishing. Spring is right around the corner and many anglers are starting to hit the water in search of Spanish Mackerel. These flavorful fish are fun to catch and can be found close to the shore during the springtime. Today, we are going to learn some helpful tips for Spanish Mackerel fishing that just might help you land some of these amazing fish. While many people associate Spanish Mackerel fishing with a boat, some anglers have great luck by fishing from a pier. During the spring months when these fish are close to shore, why not try fishing from your local pier? You just might be surprised at the success you will have! Fishing from a pier is also a great way to show younger anglers how to catch these very active species. Before you jump in the boat for some Spanish Mackerel fishing, make sure the water conditions are clear. These fish hunt by sight and will often wait until the water has cleared up to become active. When the water runs clear, these fish begin to feed heavily which will give you ample opportunity to catch your limit. If you have access to a boat, the best way to catch these beautiful fish is by trolling with either a No.1 or a No. 00 Clarks spoon. This is the traditional method of Spanish Mackerel fishing and the most popular. If you don’t own your own boat, you will find many chartered fishing guides that will take you out for a small fee. If you don’t have a lot of resources to invest in fishing, then why not fish the surf? 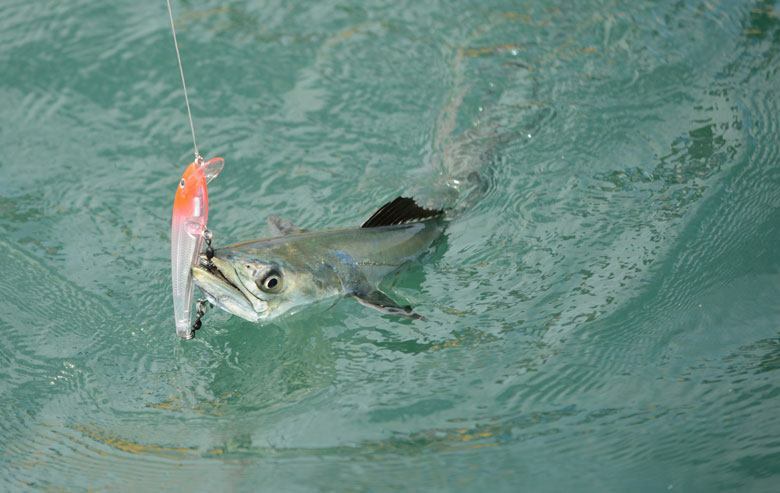 If conditions are right, you can easily catch Spanish Mackerel from the beach with very little financial investment. This is great for those anglers that are just learning how to fish and don’t want to spend a lot of money in the beginning.